The Edmonton Convention Centre’s award-winning culinary team, led by Executive Chef Simon Smotkowicz—twice named Canada’s Chef of the Year, has created a new menu. Inspired by the diversity of events the venue hosts, this menu features over 60 dishes that authentically represent the diverse regions of India. “It’s rare to find a facility of our size that is able to offer such a diverse and authentic menu that covers so many regions,” says Chef Smotkowicz. “We’re proud to have a team of internationally experienced chefs that are able to create world-class cuisine and provide our guests with an exceptional culinary experience”. Under the supervision of Chef Simon, the development of the menu was led by Sous-Chef Lalit Upadhyaya whose 20 years of international experience was instrumental in this process. “India is an extremely diverse country. Our goal was to create a menu that is representative of a cross-section of the country’s regions and at the same time ensure the authenticity was not lost,” says Sous-Chef Upadhyaya. His culinary career began in Mumbai and his talent has allowed him the ability to travel all over the world finessing his skills. 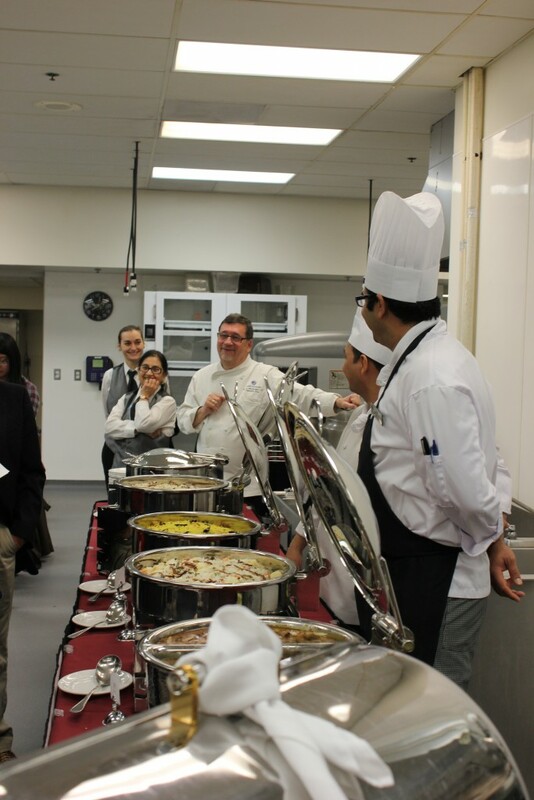 He has been an integral part of the Edmonton Convention Centre culinary team since 2008. The Edmonton Convention Centre plays host to many diverse events, from authentic East Indian weddings, to large corporate conferences, small gatherings, large galas, modest budgets and big appetites – all are welcome. The culinary team worked for months testing, modifying and, perfecting the 60 dishes that make up this new menu. The team believes in providing guests with an authentic food experience. Ingredients are locally sourced whenever possible and they constantly strive to exceed expectations. This new menu features food that is rich in variety, taste and flavour. 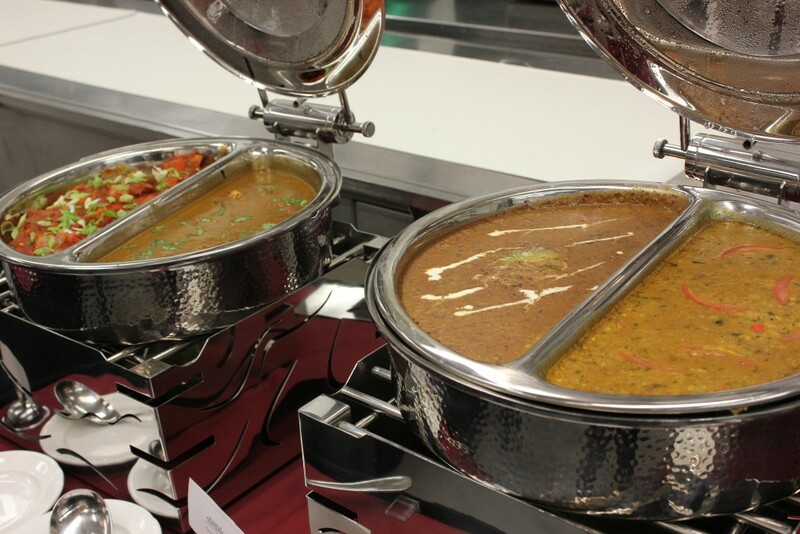 Renowned for exotic gravies and spicy kababs, Indian cuisine has something to satisfy every palate. From Aloo Gobi, to Goat Vindaloo and even Gulab Jamun Sous-Chef Upadhyaya’s passion for cooking comes through every dish. Our culinary team is honoured to serve you these genuine, tasty creations. We may have a large industrial kitchen, able to serve thousands at one time, but each dish is prepared with care and attention. As Sous-Chef Upadhyaya always says “If you don’t cook with love, then don’t cook at all”; we hope you can taste the love and passion in every dish we serve. To view the full menu, visit https://www.edmontonconventioncentre.com/wp-content/uploads/2016/10/East-IndianDINNER.pdf.